Dr. Edgar Fincher received both his MD and PhD degrees from The University of Tennessee, Memphis. He then completed early training in general surgery at Stanford University. Dr. Edgar Fincher received both his MD and PhD degrees from The University of Tennessee, Memphis. He then completed early training in general surgery at Stanford University followed by a research fellowship, also at Stanford University, where he studied mechanisms of skin wound healing. 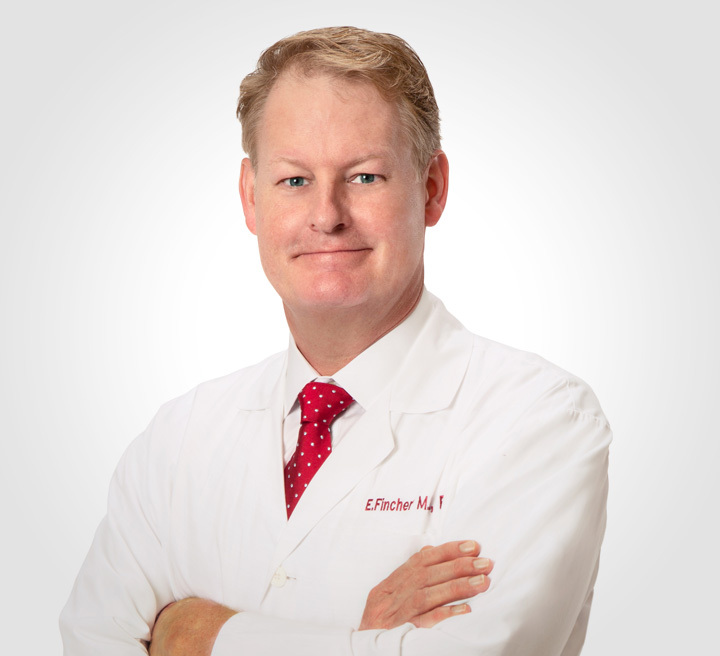 Dr. Fincher then completed his dermatology residency at Stanford University before relocating to Los Angeles for a Fellowship in Mohs micrographic surgery, laser and cosmetic surgery. Dr. Fincher has conducted numerous presentations about his surgical techniques and laser research at national meetings for dermatologic surgeons, facial plastic surgeons and laser surgeons including work on the use of cutting-edge lasers for skin rejuvenation, facelifts, blepharoplasty (eyelid surgery) for facial rejuvenation and the combined use of liposuction with Thermage for maximizing neck rejuvenation. Furthermore, Dr. Fincher has authored numerous textbook chapters and has edited two texts on facelifts and blepharoplasty. By offering a wide range of treatments and the latest cutting-edge technology, Dr. Fincher is able to customize the ideal surgical treatment for the individual patient and provide a variety of laser techniques to ensure the ideal outcome following either cosmetic surgery or facial reconstruction after tumor removal. Q: What inspired you to become a dermatologist in Beverly Hills? A: I initially started my medical training in surgery and head and neck surgery, but then switched to dermatology. At the time, my wife was finishing her dermatology residency and she enlightened me about all of the wonderful advances that were happening in the field. Dermatologists are the leaders in laser technology, skin cancer surgery and reconstruction, and cosmetic surgeries given the proper training and skills. I opted to leave my training and switched to dermatology instead. Q: Do you specialize in a specific area of dermatology? A: I specialize in Mohs micrographic surgery and cosmetic surgery (facelifts, neck lifts, eyelid surgery, liposuction and laser treatments). I enjoy the technical aspects of curing skin cancer and then reconstructing the defects. With regards to aesthetic surgery, there is a similar satisfaction in providing a patient with a permanent enhancement or turning back the clock to provide beautiful outcomes. Q: What makes Moy, Fincher, Chipps Facial Plastics & Dermatology the leading dermatology practice in Beverly Hills? A: Moy, Fincher, Chipps Facial Plastics and Dermatology offers patients the full spectrum of services with the latest technology available. Whether it be skin cancer removal and reconstruction, mole removals, laser treatments or cosmetic surgery, our physicians provide the talent and expertise needed to meet patients' needs, and deliver great results. Q: What is one piece of skin care advice you frequently offer to your patients in Beverly Hills? A: Wear sunscreen. It is most important for reducing the risk of precancers and skin cancers, and reducing the visible signs of aging. Too much sun can lead to an increase in the risk of skin cancer, and to accelerated aging including lines, wrinkles, brown discoloration and unwanted growths on the skin. Many patients will also benefit from appropriate skin care products such as moisturizers, face washes, retinols or glycolics. Matching the correct product to the patient's individual skin type is crucial to achieving beautiful healthy skin. Q: What is your approach to providing patient care? A: Each patient is an individual with specific needs. I tailor my care towards a person’s needs and expectations while, at the same time, adding my professional experience to achieve the best results.